 张利平, 夏军, 胡志芳. 中国水资源状况与水资源安全问题分析[J]. 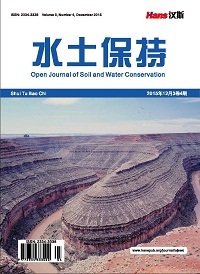 长江流域资源与环境, 2009, 18(2): 116-120. 李保国, 黄峰. 1998-2007年中国农业用水分析[J]. 水科学进展, 2010, 21(4): 575-582. 王艳飞, 庞金安, 马德华, 等. 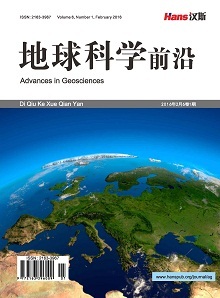 黄瓜嫁接栽培研究进展[J]. 北方园艺, 2002(1): 35-37. Ferndndez-Garda, N., Martinez, V., Cerda, A., et al. (2002) Water and Nutrient Uptake of Grafted Tomato Plants Grown under Saline Conditions. Plant Physiology, 159, 899-905. 焦自高, 王崇启, 董玉梅, 等. 嫁接对黄瓜生长及品质的影响[J]. 山东农业科学, 2000(1): 26. 安顺伟, 王永泉, 李红岭, 等. 灌水量对日光温室番茄生长、产量和品质的影响[J]. 西北农业学报, 2010, 19(3): 188-192. Ismail, S.M., Ozawa, K. and Khondaker, N.A. (2008) Influence of Single and Multiple Water Application Timings on Yield and Water Use Efficiency in Tomato. Agricultural Water Management, 95, 116-122. 吴绍军, 陈海丽, 朱月林, 等. 异属砧木嫁接对日光温室水培番茄生长、品质及产量的影响[J]. 北方园艺, 2010(18): 8-11. 潜宗伟, 陈海丽, 崔彦玲. 异属砧木嫁接对茄子和番茄生长、产量及品质的影响[J]. 湖北农业科学, 2017, 58(4): 697-701.